This skill set is designed for trainers and assessor who deliver non-accredited training or work with other trainers in delivering nationally recognised training. The knowledge and skills attained in this course will allow the learner to undertake the role of and perform the duties of a workplace trainer and assessor. Learners must be able to demonstrate vocational competency in their proposed training and assessing area. Vocational competency is defined as broad industry knowledge and experience and may include, but is not limited to, holding a relevant unit of competency or qualification. Learners wanting to gain the skill set TAESS00015 under the short course duration will need to apply to Coal Train prior to attending the course submitting the RPL application form and supporting documents. At the completion of face to face training, students will be provided with a post course workbook. This allows students to further their learning and demonstrate application of training and assessment ideally in the workplace. If the post course work cannot be completed in the student’s workplace, Coal Train encourages students to participate in the presentation days at Coal Train. Students will have up to twelve (12) months to complete the course. If additional time is required for completion, please contact Coal Train. Coal Train will review support documentation from students enrolling in TAESS00015 and group them into the following learner cohorts. This skillset has four units of competency. On successful completion of this course, competent students will be issued a Statement of Attainment for the TAESS00015 Enterprise Trainer and Assessor Skills Set which will list the above units of competency. This skillset will provide credit towards TAE40116 Certificate IV in Training and Assessment. 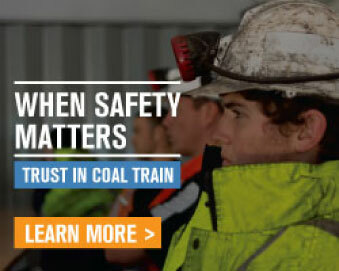 If Coal Train Australia Pty Ltd cancels a course, then a full refund will be made available to whoever paid the course fee. If the student can demonstrate that extenuating or significant personal circumstance led to their withdrawal, the participant will be offered a full credit toward the tuition fee in another scheduled program in-lieu of a refund. General Manager may also authorise a refund of tuition fees if the circumstances require it.